As of April 2018 I’m now located in Tampere, Finland, Locator: KP11UL. You may see my call appearing in various logs with an OH prefix whilst I’m awaiting my official Finnish callsign. I’m currently maintaining both (M0SPN and OH/M0SPN) callsign logs on QRZ.com; see ‘logbook’ link above. 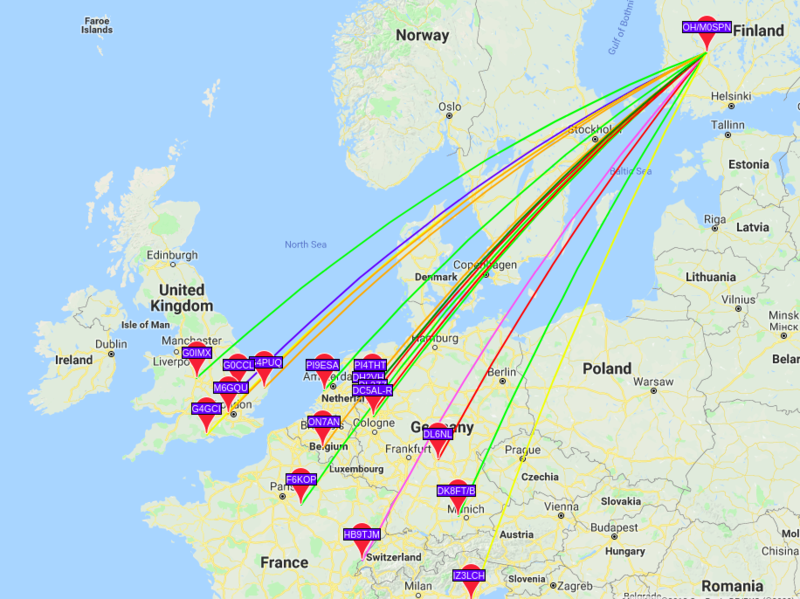 Initial tests on 20m using an FT817 and a 6m loop of wire, hung around an indoor window frame (using an LDG Z100+ auto ATU) can be found below. By pure chance I seem to be throwing all my RF towards the South West. Hello England! The current property isn’t well suited for proper antennas so I may be limited to CW, FT8 and PSK31 for the next few months. 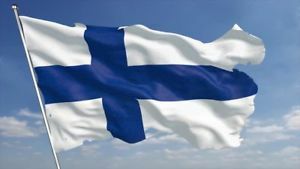 This entry was posted in Uncategorized and tagged cw, finland, ft8, psk31. Bookmark the permalink.